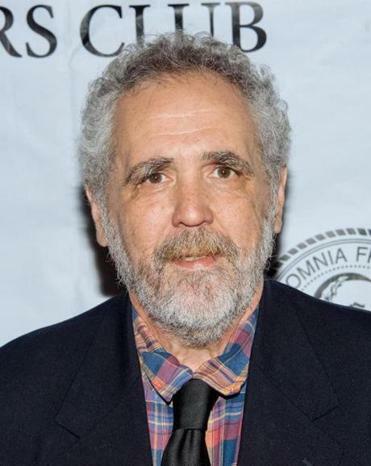 Barry Crimmins has shared some sad news via Twitter. The comedian, whose wife, Helen, is battling stage four non-Hodgkins lymphoma, tweeted that he, too, has been diagnosed with cancer. OK, I've told my mom (she's 93!) so can be more specific. I have cancer. My prognosois isn't good. My care (kicked in Jan 1) attitude and emotional state are all fine though. Prayers appreciated- statements of your stance on spirituality or lack thereof sre not. Love to all! Crimmins, one of the founders of the Boston comedy scene in the 1980s, is known for his political humor. If you haven’t seen it: He’s the subject of the very fine 2015 documentary “Call Me Lucky,” which was directed by his friend and fellow comedian Bobcat Goldthwait. Just last month, Crimmins helped organize a Stand Up to Cancer benefit at Somerville’s Arts at the Armory. The show, a fund-raiser for his wife’s care, included a stellar lineup of Crimmins’s contemporaries: Goldthwait, Lenny Clarke, Mike McDonald, Mike Donovan, Kenny Rogerson, Jack Gallagher, and Tony V, as well as Eugene Mirman, Jim McCue, Carolyn Plummer, and Tawanda Gona. The news that Crimmins himself has now been diagnosed with cancer prompted many of his fans and friends to check in with well-wishes via Twitter. With a comic right now named @christhayer who was telling me about a great set he saw you do on a show with @davidcross and @willdurst. Your reputation is broad and deep. sending my love, my love. Sending love and admiration, Barry. Be with us as long as you can. We love being with you. We love you.